Earlier this summer, after a slew of canceled tour dates and festival appearances, Frank Ocean played his first U.S. show in years during FYF Fest at Exposition Park in Los Angeles. And whom did he enlist for moral support during this momentous occasion? The one and only Hello Kitty. I mean, Brad Pitt was there too, but it was Hello Kitty who made a special appearance as the bouncing karaoke cursor during Ocean’s closing song, Nikes. Hello Kitty has other bro fans, too. Actor Tom Holland sported Hello Kitty pajama pants on the set of the new Spider-man movie, and internet rapper Candy Ken loves the way Hello Kitty stickers feel on his tanned and toned body. 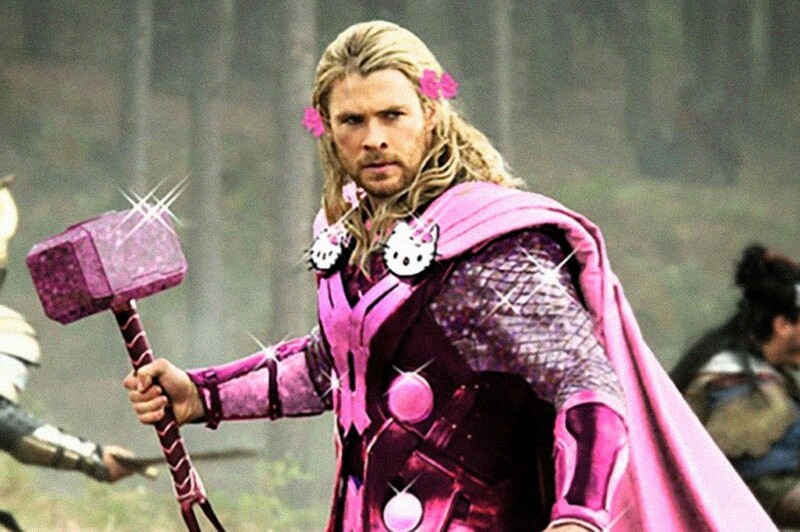 And while these nine superheroes (and the actors who play them) haven’t expressed any Hello Kitty love just yet, someone went ahead and Photoshopped Hello Kitty gear onto them anyway. Sanrio was created in 1960 by Shintaro Tsuji, 89, a Japanese man who wanted to create a brand centered around the Japanese art of gift-giving. He also wanted to create products that would promote communication and connection, little trinkets of fun, friendship and love. This is why Sanrio’s slogan, as printed on all of its gift bags, reads, “Small Gift, Big Smile.” In 1974, Sanrio launched its first Hello Kitty product, a small coin purse featuring its eventual superstar between a bottle of milk and a goldfish bowl. Two years later, Hello Kitty had made her way to America, mirroring the wave of Asian immigrants to the U.S. after previous policies had excluded them. Today, Sanrio reports annual revenue in the 12 million yen range (just under $2 billion U.S.), and Hello Kitty is the sixth most licensed character in the world. His First Hello Kitty Memorabilia: Pencils, pens, erasers and stationary. 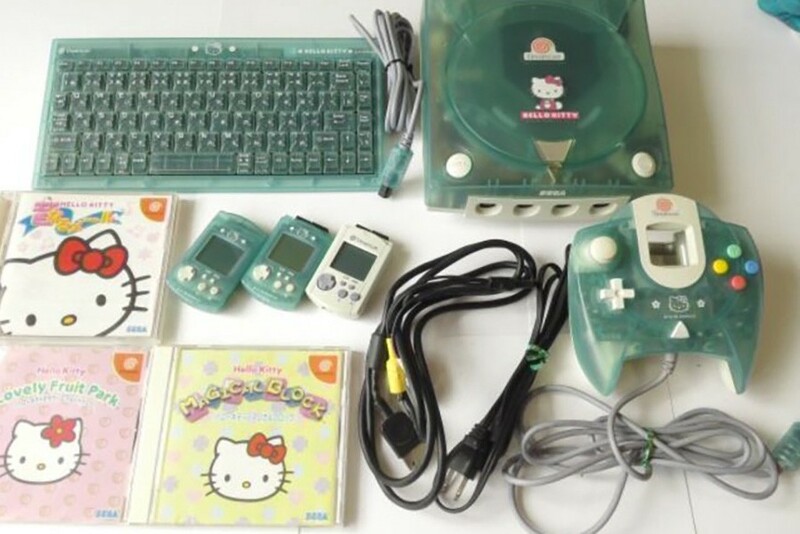 His Best Piece of Hello Kitty Memorabilia: Hello Kitty Sega Dreamcast video game system. His First Hello Kitty Memorabilia: Toys and figurines. Favorite Hello Kitty Store: The one at the international terminal at LAX. 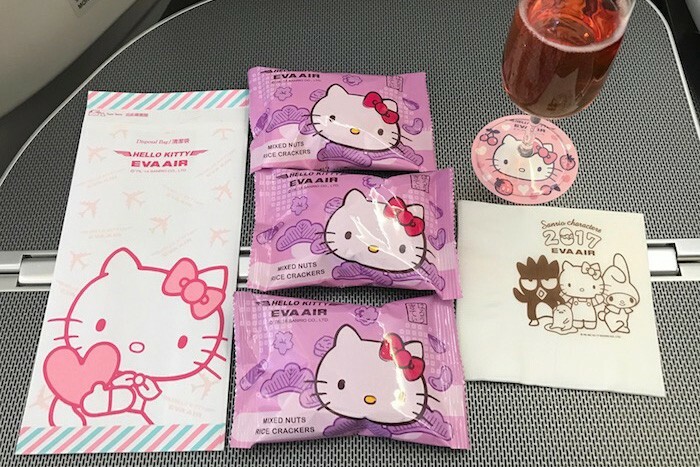 Hello Kitty Dream: Flying on an EVA plane with Sanrio livery. His Favorite Hello Kitty Merch: Candy, tins and containers, lunch boxes and nice school supplies.